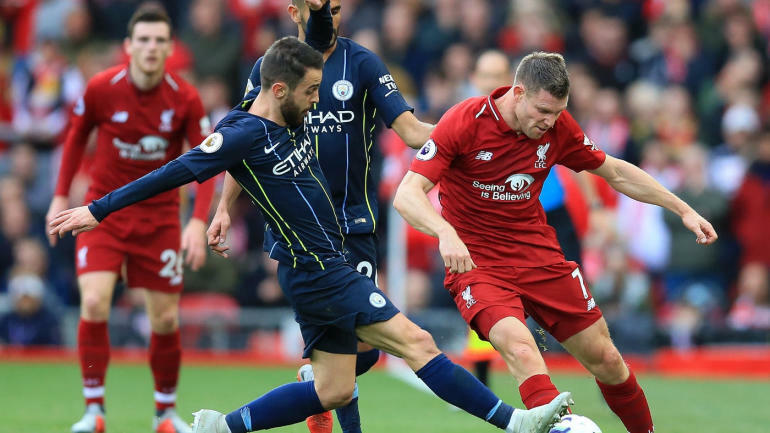 A month remains in the Premier League, and it feels like the title race between Liverpool and Manchester City may go down to the final day of the season. Both teams won on Sunday, and Liverpool holds a two-point advantage over City, with Pep Guardiola’s team having played one less match. Due to a cup fixture postponing City’s game against Manchester United scheduled in March, the race has been uneven when it comes to matches played. But that will change soon with the make-up date set for April 24. So what are things looking like for Liverpool and City? Both teams have won their last five, so they’ve shown they can go on a substantial winning streak to end the season. If City wins out, they’ll win the league. If Liverpool wins out, they will need City draw at least a game. But what’s most likely is for neither team to win out and for the race to get even tighter. There is still a long way to go in what may just be the best Premier League title race ever. Buckle your seat belts.